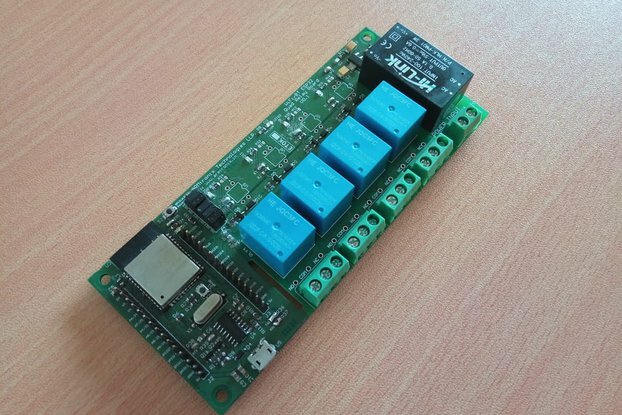 It is Wifi 3 channel dimmer board to control light and fan at your home using a smartphone. You can control 3 loads independently. It is a product for both tinkerers and non-tinkerers. Non-tinkerers can directly use as it is. Tinkerers can program it as they wish for their application. 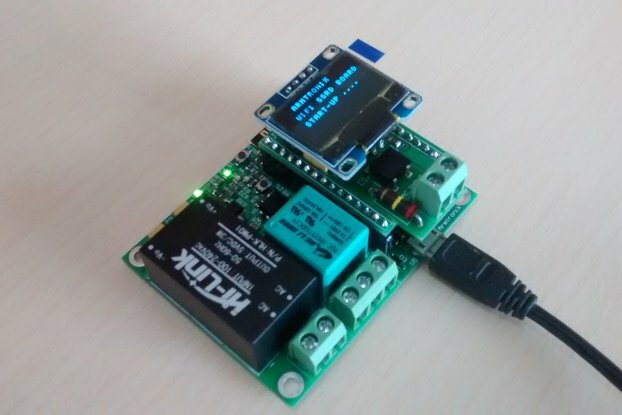 Three Triac Dimmer board is a Wifi based remote control switch/dimming device. 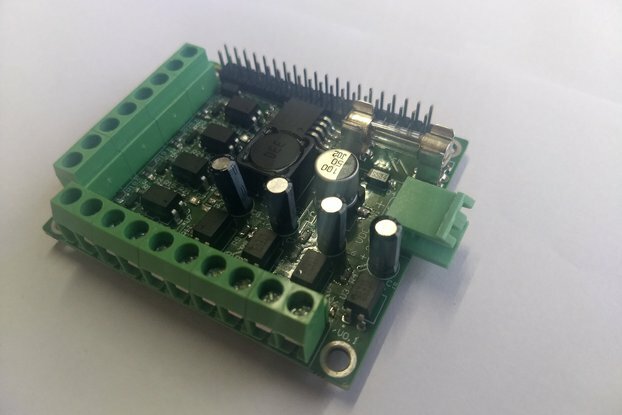 Designed and developed to control lights and/or fans. 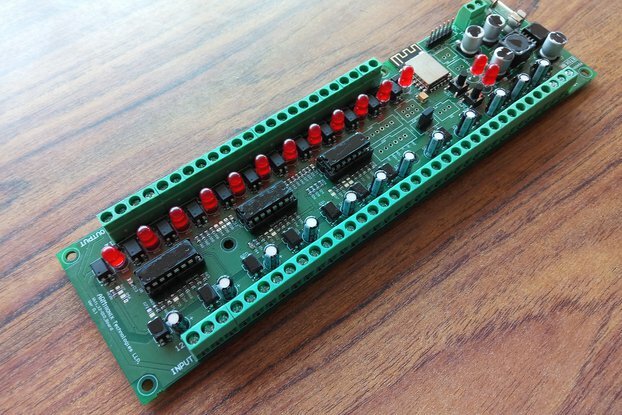 Using this board the lights and fans can be controlled by a smartphone which you use regularly. This board is not just to switch ON/OFF light, you can also vary the intensity of light from 0 to 100%. You can connect and control two loads in an instant. 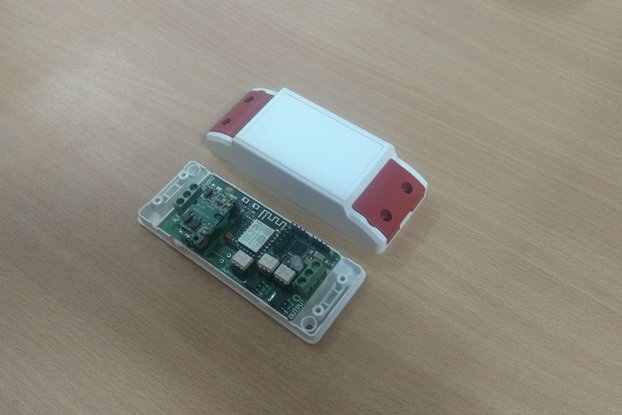 It also has feature to connect potentiometer as a virtual switch to vary the intensity of light or speed of the fan in two-way mode with respect to the mobile phone. AC to DC converter is power supply module manufactured from Hi-Link part number HLK-PM01. 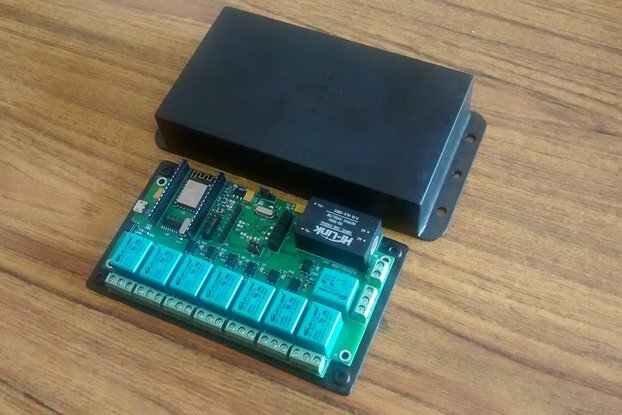 This power supply module rectifies and regulates voltage from 230 V AC to 5 V DC with output current capacity of 0.6A DC. The power of HLK-PM01 is at a maximum of 3W. 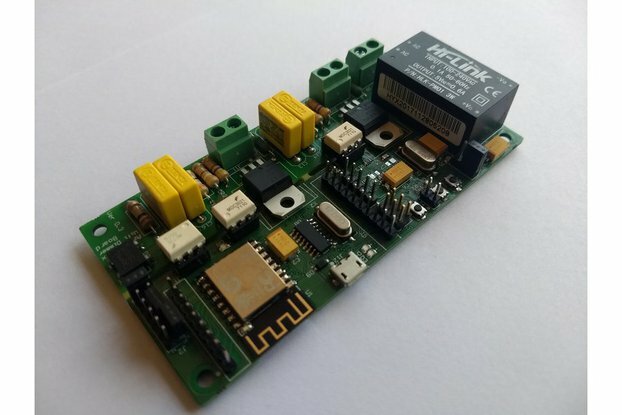 The 5V output can be accessed to connect any external sensors. The DC-DC converter on board is used to regulate voltage from 5 V DC to 3.3 V DC to supply power to complete digital part. 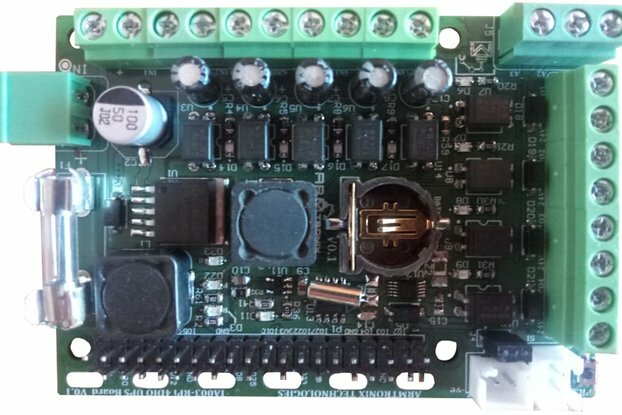 Wifi module used on the board is ESP12 with all its required GPIOs are easily accessible to the user for their own application. 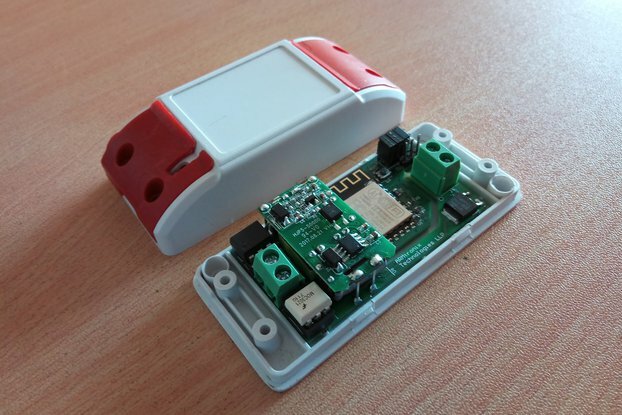 Wifi module is powered by through 3.3 V DC. It works on both MQTT / HTTP protocol. Zero crossover detection is used to detect the zero crossing of AC phase to fire the Triac synchronously to get the smooth output. Optically isolated ZCD circuit is implemented to protect the device from unwanted signals due to AC lines. TRIAC is driven through optically isolated TRIAC drivers with reference to zero crossover detection. Synchronous switching method is used to regulate the power of loads. PWM signal will drive the TRIACs, and switches AC mains power from 0% to 100% of its total cycle. The PWM signal pulses can be configured in code with respect to AC mains frequency and voltage level. BT136 triac is used in this board to act as dimmer or switch. The Microcontroller executes the dimmer algorithm to drive the TRIAC switch, by receiving ZCD signal. Along with this, it has three LEDs to indicate the status of loads. 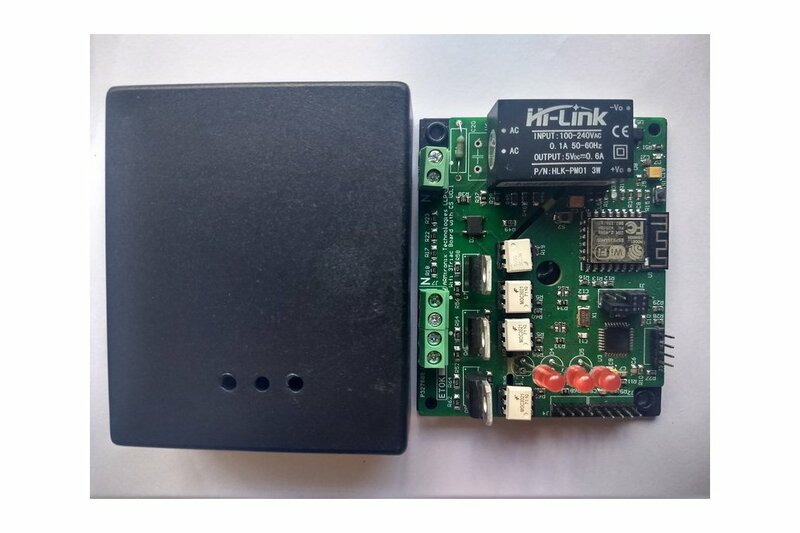 The controller communicates with Wifi module through UART mode of communication to send and receive data to to-and-from respectively with connected Wifi network. ATmega328P microcontroller is used in the product to execute the algorithm, which is manufactured by Atmel incorporation and is compatible with Arduino. 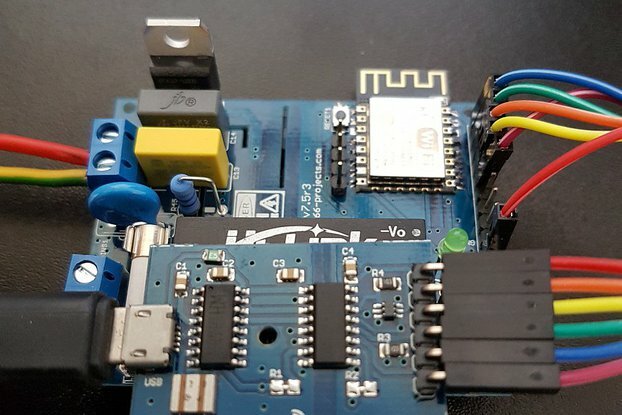 Control processor has the capability for software up-gradation through Arduino and contains enough memory to upgrade and store the software for its own application. Works directly with AC power 100 - 240 V AC 50-60 Hz. Product firmware can be updated/reloaded/changed as per user requirement. Three Triac outputs, to control the light/Fan. Triac output can handle up to 1 Amperes of current. WiFi with MQTT or HTTP protocol. Basic Firmware to enter SSID and password to connect to the router. Firmware has the ability to control device through HTTP and MQTT mode. Tactile Switch on-board Provided for Factory Reset function. Note that, this board to be powered with AC 230V with required current. Work and handle carefully with AC power as it is harmful and dangerous for human beings. Touching live wire or board when it is ON is danger and not advisable, it may cause death, please avoid it. Even a 50 V AC supply is sufficient to kill you. Please Switch off the mains before you make or change connections, be very careful. If you are not sure of anything related to the AC supply lines, please call an electrician ask and him to help you with it. Do not attempt to interface with mains unless you have adequate training and access to appropriate safety equipment. Never work at high voltages by yourself when you are alone. Always ensure that you have a friend/partner who can see and hear you and who knows how to quickly turn off power in case of an accident. Use a 2A Fuse in series with the input to the board as a safety measure. The basic Wiring diagram is available on our Instructables page and GitHub. Please refer it. Making wrong connections, drawing more than rated power, contact with water or other conducting material, and other types of misuse/overuse/malfunction can all cause overheating and risk starting a fire. Test your circuit and the environment in which it is deployed thoroughly before leaving it switched on and unsupervised. Always follow all fire safety precautions.